Much of my time is being spent at home recently while the dog recuperates after surgery. She needs to be confined for 6 weeks and carried outside at the moment. What better time to work on a few UFO’s. 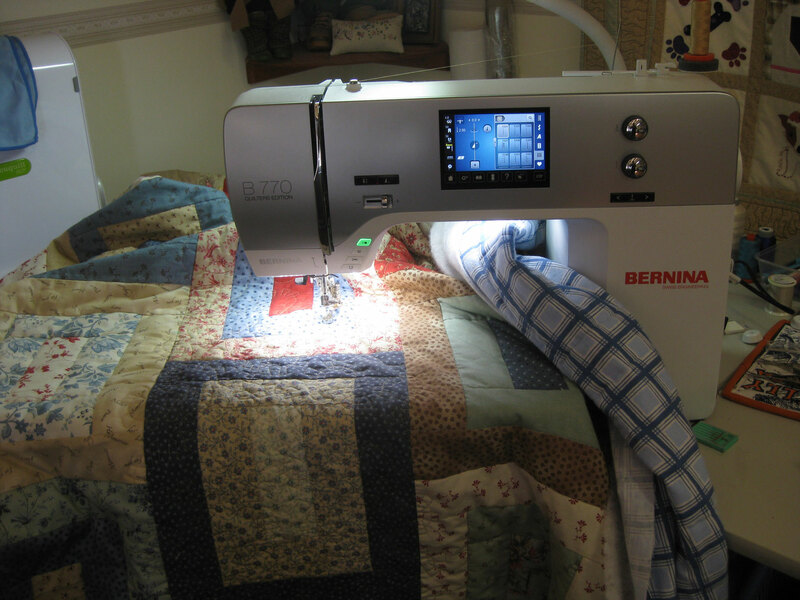 The quilt on the sewing machine is a jelly roll quilt which I made several years ago. 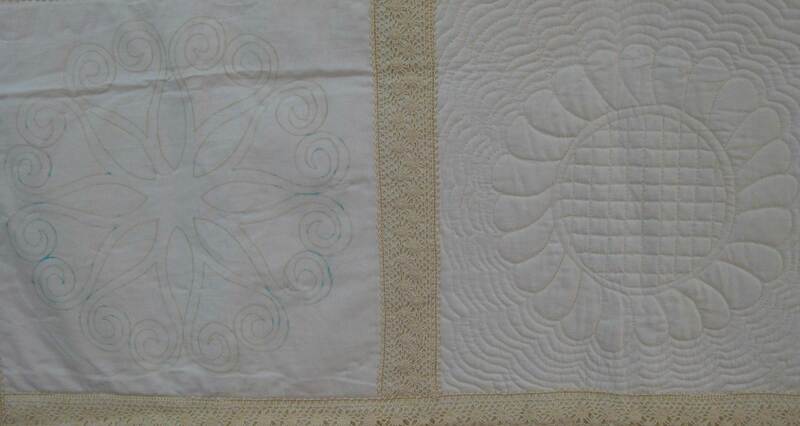 ( The instructions for making this quilt can be on this blog). Photo of the quilt top here. I am quilting it all over using an irregular railroad track pattern. 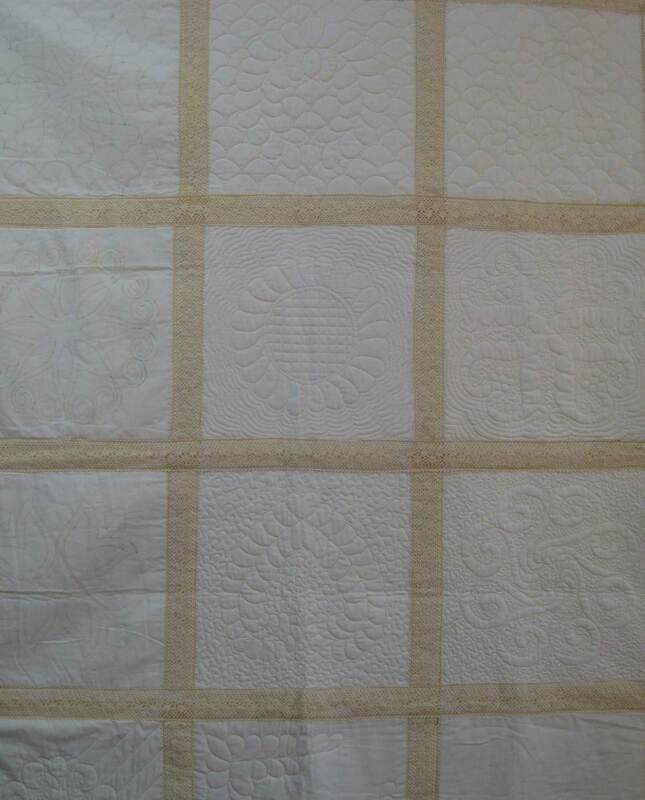 Another quilt I found while rifling through my cupboards was this partially machine quilted demo quilt. 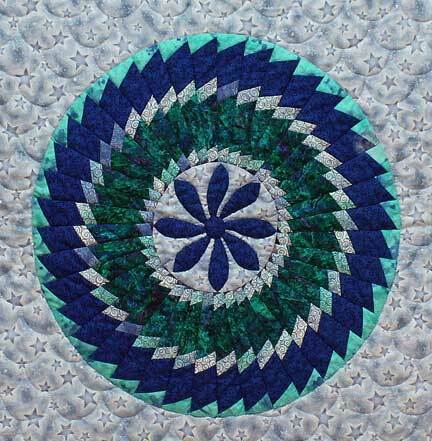 I started this in about 2000 when I worked for a sewing machine company and used to demo machine quilting at shows. As she can see I never bothered to remove the markings on the unfinished blocks so after being left for more than 15 years they have turned brown. Really not sure what I am going to do about this yet! I have never had this problem before and know from experience that water erasable pens are excellent so long as you wash the markings out within 6 months. The close up photo shows what a mess the markings have made… lesson learnt!